Can't afford airfare to Aspen or Vail? Hop in the car and head to one of these tri-state-area ski resorts. The gist This resort’s 114-room lodge is situated high on a bluff of Chestnut Mountain, offering breathtaking views of the Mississippi River. And even though indoor activities include a pool, sauna and game room, the real reason for visiting is to take advantage of the largest snowmaking system in the Midwest. 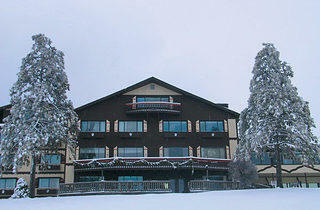 The seven-acre winter terrain is constantly covered with the white stuff, enticing skiers and boarders of all levels. Its 475-foot vertical drop runs 3,500 feet through 19 slopes ranging from beginning to black-diamond. Two quad chairs, four triple chairs and three surface lifts zip you to the top of the mountain as fast as you go down. Ticket to ride The slopes stay open until midnight every Friday in January and February, when lift tickets and ski/board rental are $40. The gist First timer when it comes to skiing? These unintimidating hills in the western ’burbs are a good place to start. The property consists of a bunny slope and three midsize inclines, each accessible by towropes. Lessons are scheduled during the week at 7:15pm and three times a day on weekends and holidays. Ticket to ride The prices here are so affordable ($20 per lift ticket; $15–$35 for rental equipment) that there’s no need for discounts. The gist Voted the No. 1 ski resort in the Midwest by Ski Magazine, this destination has it all: 45 ski or snowboard slopes, nine lifts, terrain parks, a half-pipe, snow-sports school and daily NASTAR racing. Accommodations include 240 luxury suites, hotel rooms, condos and resort homes, with amenities such as an outdoor 20-person hot tub, a fitness center and a spa. 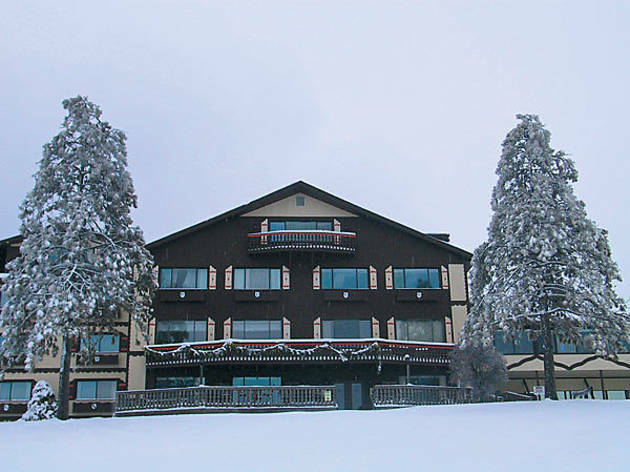 Ticket to ride The resort’s website offers many deals, including a midweek ski package (one night of lodging and a two-day lift ticket) starting at $89 per person. The gist This southwestern Michigan mainstay (it’s been in business for more than 40 years) features 11 slopes, a 225-foot vertical drop and a fireside lounge. Swiss Valley also offers race programs, lessons and group rates. Ticket to ride College students with a school ID get discounts on lift tickets ($15, regularly $26) and rentals ($15–$18, regularly $18–$25) every Friday all season long. The gist Touting itself as the only resort in the Midwest with two high-speed quads and three Wonder Carpets (a type of conveyer lift), this Wisconsin resort’s longest run is 2,500 feet while its vertical drop is 388 feet. Adult and children’s classes are offered, but sledding and cross-country skiing are not. Ticket to ride Adults can learn to ski Monday through Thursday at 10am for $60, which includes a one-day lift ticket, skis, boots, poles and a two-hour beginner group lesson. The gist Located near the Wisconsin Dells, this resort boasts four parks spread throughout 30 acres and features a half-pipe for skiers looking to show off their skills. For those who want to feel the rush of going down a slope without worrying about skis, tubing (no experience necessary for this all-ages activity) is also available. Ticket to ride Cascade has partnered with a variety of area hotels to offer special rates for skiers, all available through its website.